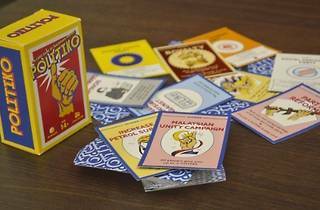 Get into the spirit of the General Elections with the wacky new card game, POLITIKO. 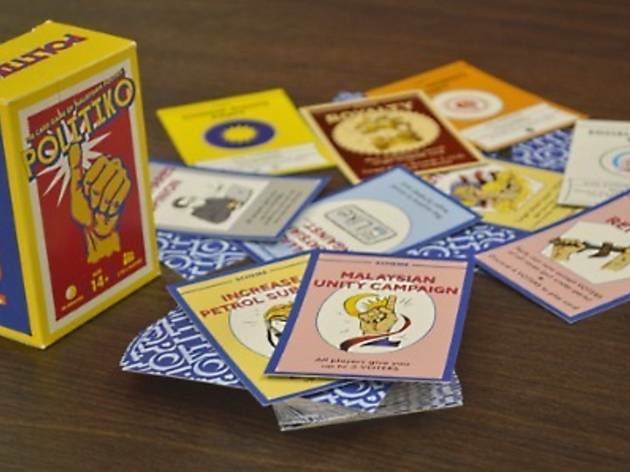 Each player represents a Malaysian political party (with slight name alterations), and you win by scheming your way to gaining the required amount of voters. Sound like fun? Head on over to Suzi's Corner where you can purchase POLITIKO decks and meet other like-minded people to play a few rounds with.